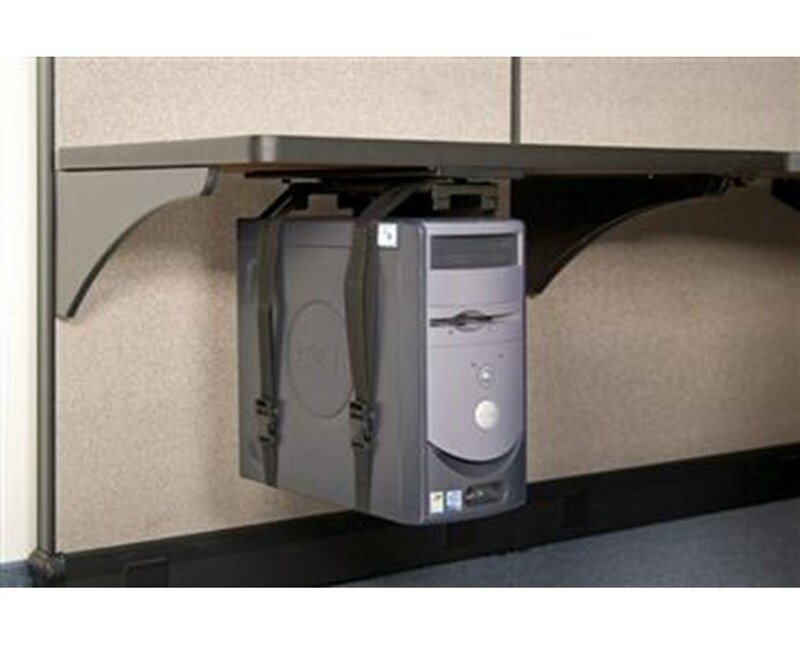 ESI's Adjustable CPU Holder brings an attractive combination of value and functionality to your workspace. Featuring a 17.75" glide track that vertically mounts to the underside of any work surface, the Adjustable CPU holder is capable of 360 swivel and uses 60" adjustable straps. It's also easy to install, requiring no tools for adjustments. 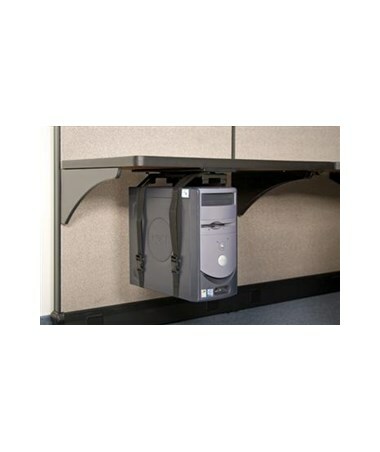 With a load capacity of 125 lbs, this value engineered CPU holder is great for any job.